BARCELONA -- MWC19 -- With data demand doubling every two years, Telefónica is beefing up its network with new equipment, spending €200 million ($227 million) on a network upgrade that includes equipment from Juniper and Nokia, to meet customers' insatiable need for bandwidth. The Telefónica Spain Fusión Network project is designed to meet growing demands for connectivity across the region for the next three years, according to a joint statement from Juniper and Telefónica. It's the second phase of the project, serving mobile, residential and business services. The upgrade brings network capacity to 10 Tbit/s, with room to grow. "We think in 2025, we'll reach 30 terabits per second," Javier Gutiérrez Alvaro, director, network & IT development and strategy, Telefónica España, tells Light Reading. The project has been in the works for five years. "Five years ago, we realized we didn't have the capability to increase capacity the rate traffic is going," Gutiérrez says. More than just swapping out equipment, Telefónica needed to change its whole network topology, going from hierarchical to a flatter topology that could be deployed with greater agility, be more responsive to traffic growth, and be more cost-effective as well. Telefónica recently completed deployment, transitioning from Huawei to the new equipment. "We have moved every single bit from our old network," Gutiérrez says. The company has 5 million Spanish subscribers, both consumer and business, consuming fixed broadband, mobile and IPTV. As part of its network upgrade, Telefónica is deploying fiber to the homes of its subscribers. The FTTH deployment supports IPTV. "One of the priorities was to create attractive television [for] the customer," Gutiérrez says. "Our customers are changing the way they watch TV; they want to watch their own program in their own way, whenever they want. That means a significant change in traffic, from unicast to multicast." Changing TV patterns drives network demand, as content can no longer be transmitted over the network just once; instead, consumers demand content availability at any time. "When one of our customers is watching a live program, the content is broadcast once for all the customers. That's one data flow." But with multicast TV "we have to create a separate flow for each of our customers. That means traffic bursts," Gutiérrez says. To meet demand, Telefónica altered its network topology to increase connectivity at the edge. And Telefónica has begun deploying 100Gbit/s interfaces, with plans to move to 400 Gbit/s. Telefónica split its network between Juniper and Nokia for redundancy. From Nokia, Telefónica deployed the 7750 and 7950 products. The Juniper and Nokia products replace technology from Huawei. In selecting the vendors, Telefónica received multiple requests for proposal (RFPs), and decided Juniper and Nokia were the best fit on technological and financial grounds. Security was not an issue in replacing the Huawei equipment, despite recent headlines, Gutiérrez says. Telefónica would not have invited Huawei to submit an RFP if security had been a concern. Telefónica's contract with the new vendors runs three additional years, Gutiérrez says. For Juniper, the Telefónica deal extends a 20-year relationship between the two companies, Sally Bament, Juniper VP service provider marketing, tells Light Reading. Telefónica is using Juniper's MX2000 series core routers, and MX960 edge routers. 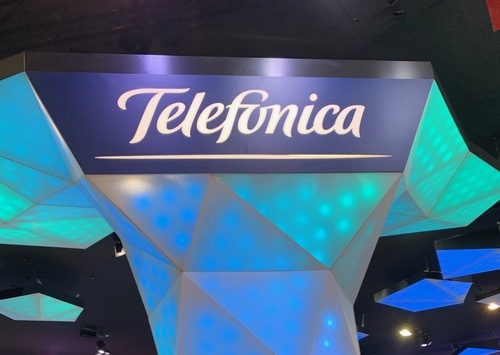 Telefónica is transforming its network in three ways, Bament says: Greater bandwidth in the infrastructure, automation, and connectivity to cloud providers including Netflix, Microsoft Azure and Amazon Web Services, Bament says.